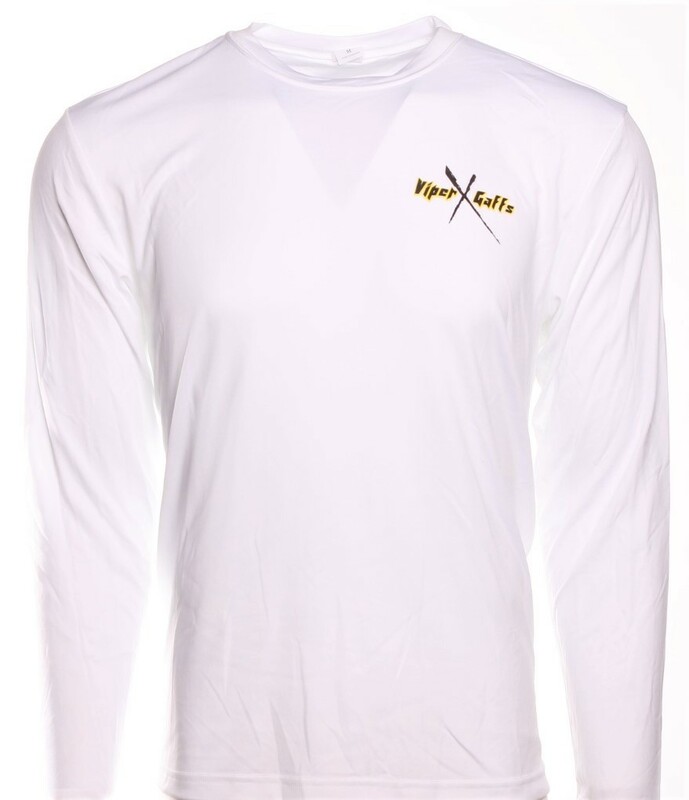 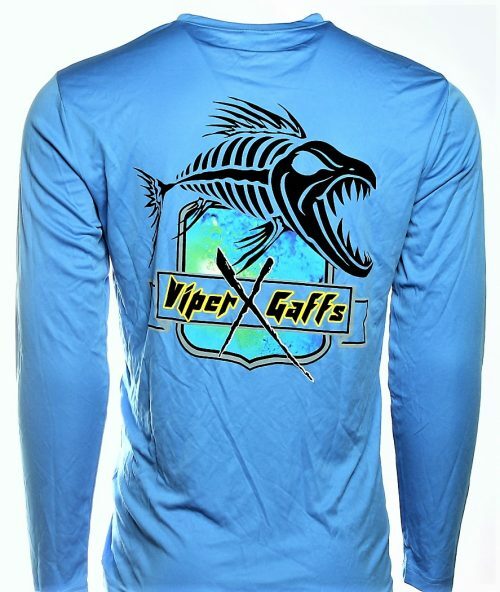 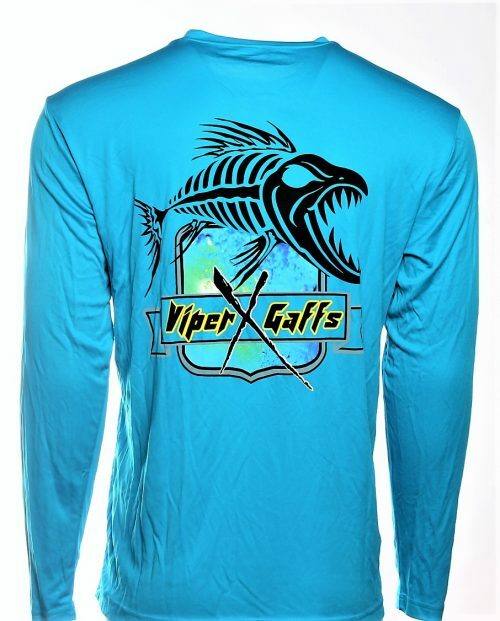 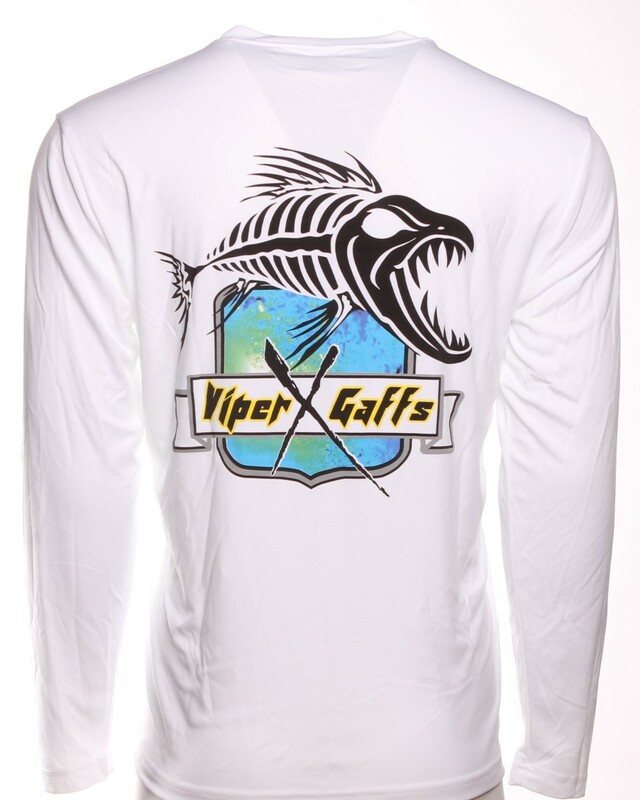 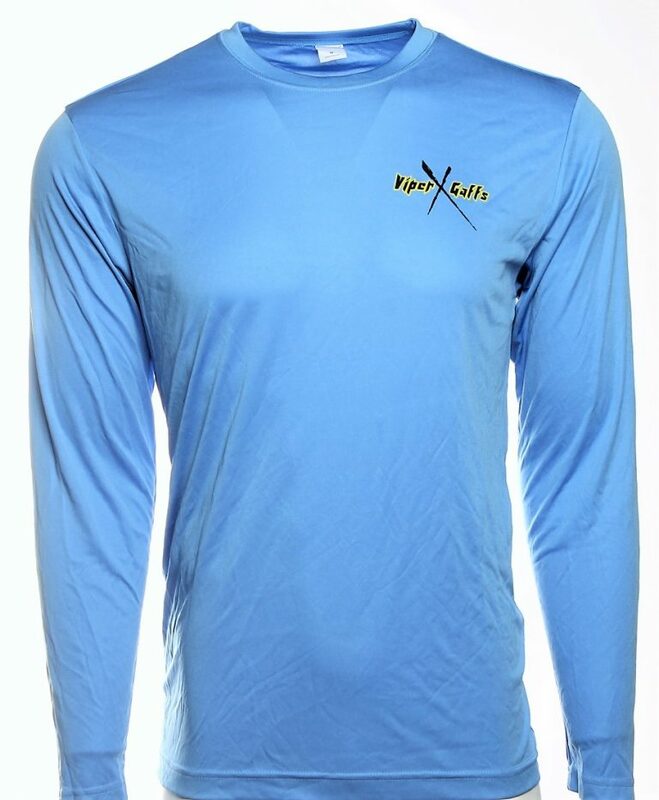 Our VXG long sleeve shirt is a Dri-FIT material made up of 100% polyester. 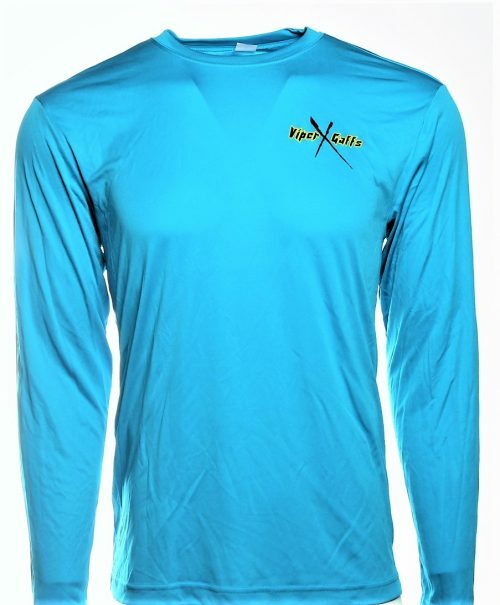 Its soft feel and stretch make it comfortable for everyday wear and the Dri-FIT material makes it cool for a hot summer day. 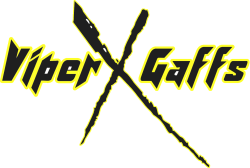 The Viper X Gaffs logo is on both the front and back.